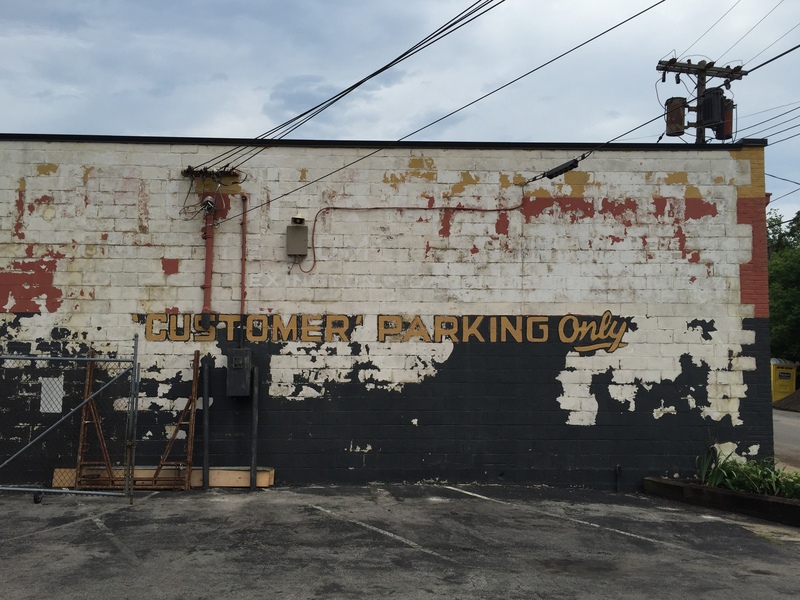 As we peeled away some sixty to seventy years of paint, we started to make out faint outlines of block letters underneath all of those layers. At first, all we could see was ‘ETE HOME F’. Then, below that, we could make out ‘LEXINGTON – DANVILLE’. At the top of the building, we could start to see ‘H & G’. We were hooked. We wanted to know what was here before. 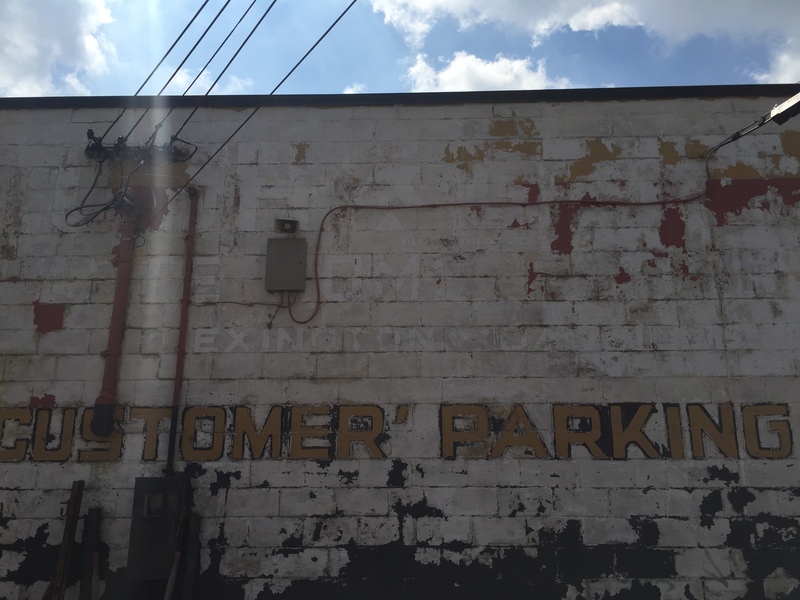 We’ve often wondered about the origins of our buildings here on Mechanic Street. We’ve known that our main building was built in 1949, but we didn’t know what kind of building it was. That changed as we prepared to paint our building this year. As we scraped away more paint, we could find more clues, but the clues were never very clear. Eventually, it started to look like ‘H & G COMPLETE HOME FURNI’, and we were pretty sure we were dealing with some sort of furniture store. That seemed a little odd, given the structure of our building, but maybe our building was just a warehouse for the store. Finally, with most of the paint removed, the top line looked a lot less like ‘H & G’ and much more like ‘BAUGH & GARNER’. 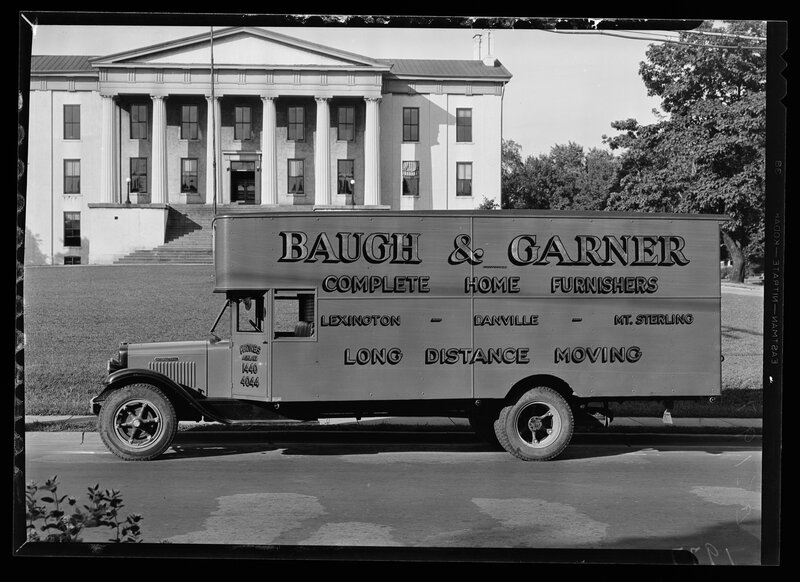 Several internet searches (mainly, the great historical images at the University of Kentucky’s ExploreUK) confirmed that our building was part of Baugh & Garner Incorporated, a furniture store on the corner of North Limestone and Mechanic Streets. 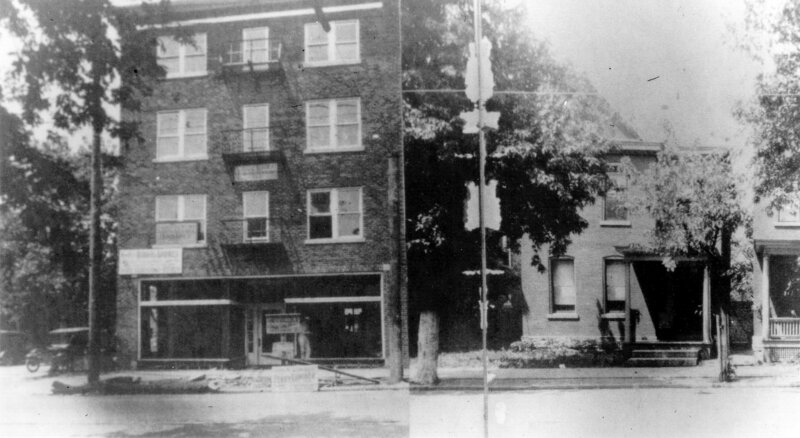 The four-story building for the store was built in 1922, and our building at 111 Mechanic Street was built a quarter-century later as a warehouse for the store. 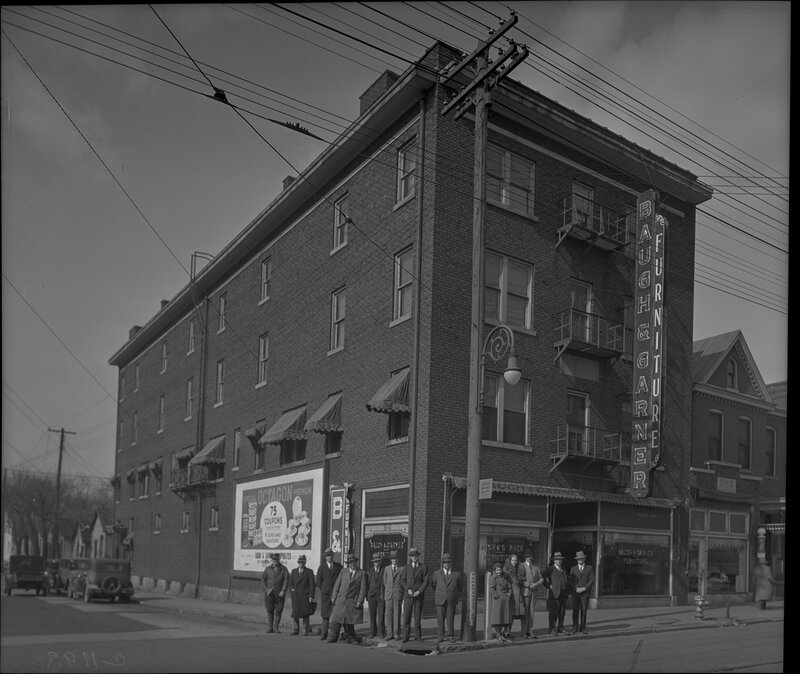 We can’t find any contemporaneous pictures of our building when it was part of the store, but we do have some good pictures of the store itself from 1921, 1932, and 1933. 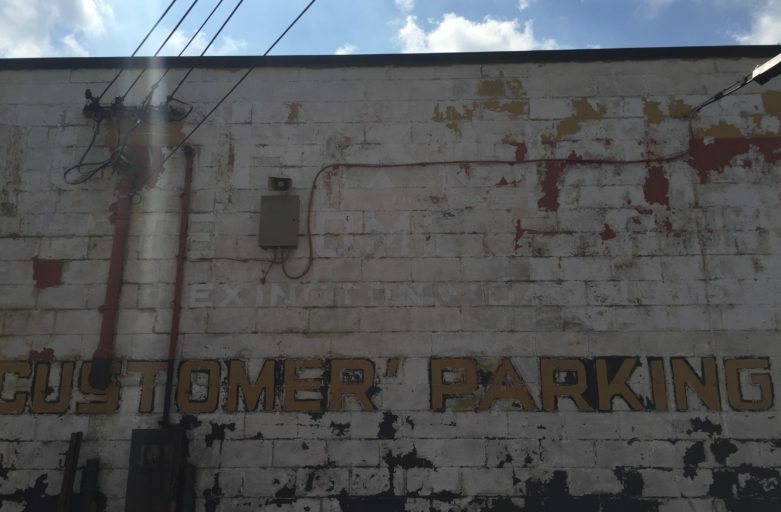 We’d love to know more about Baugh and Garner – when it started, who ran it, when it went out of business, when the old building was torn down, etc. If you can share any additional details, please let us know! W M. Garner in 1916, founded the Southern Bedding Company at Lexington, later known as Sleepy Head House, and later the Baugh and Garner furniture stores at Lexington and Danville. It was a successor to the business of V. G. and L. G. Garner which was destroyed by fire and began in a small building on West Short Street, directly opposite the old central fire station. Baugh was O. W. Baugh, secretary and treasurer of the concern. He was painfully injured one night in may of 1932 when he fell 14 feet down an elevator shaft at the company’s store at 237 North Limestone Street.